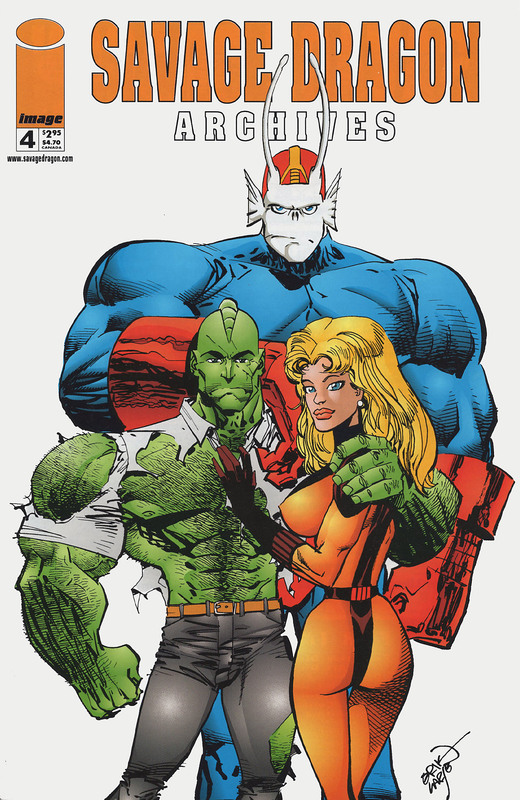 Cover: Erik Larsen and I.H.O.C. This story is reprinted from Megaton #4. This story takes place outside of regular continuity. This was originally produced in 1984 and was first published as a back-up in The Dragon #5. Opening editorial by Erik Larsen, unfinished 4-page “Final Battle” story by Erik Larsen, unused Graphic Fantasy backcover by Erik Larsen, and original cover from Megaton #2 by Erik Larsen.